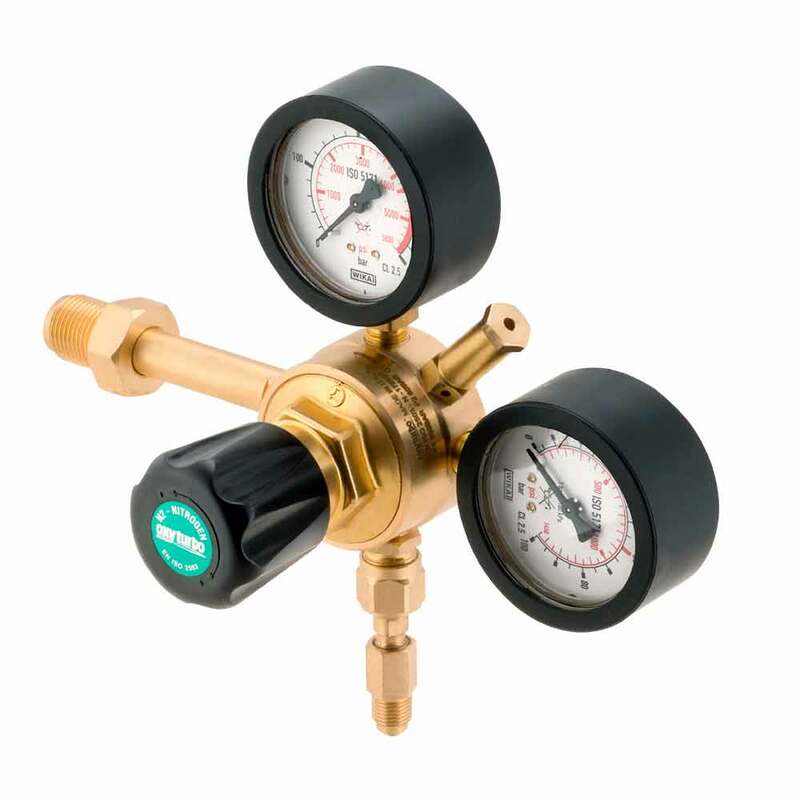 Pressure reducers and kits containing all the equipment you’ll need for maintaining air conditioning systems. 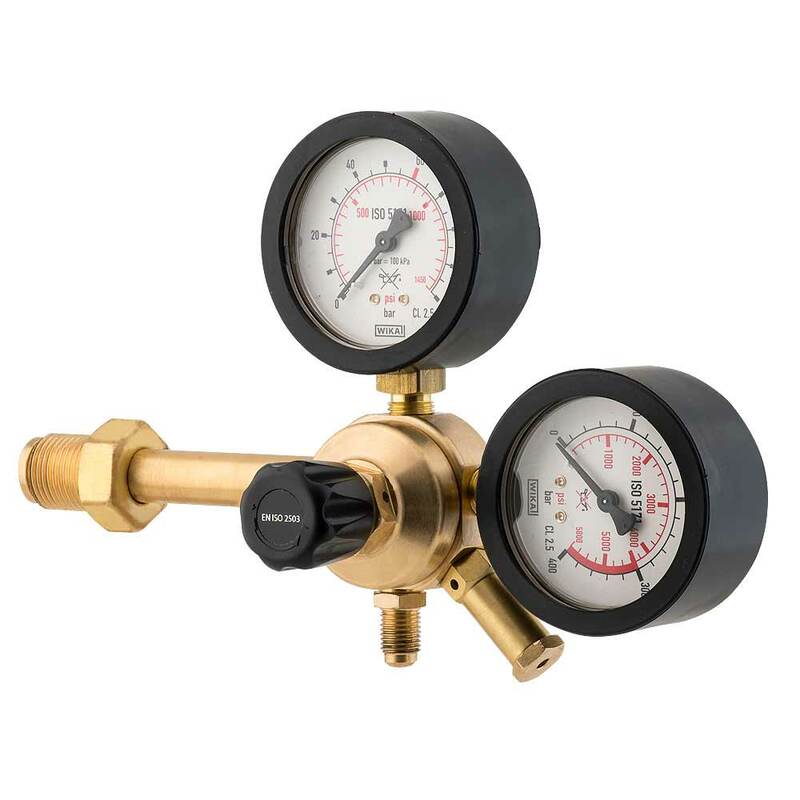 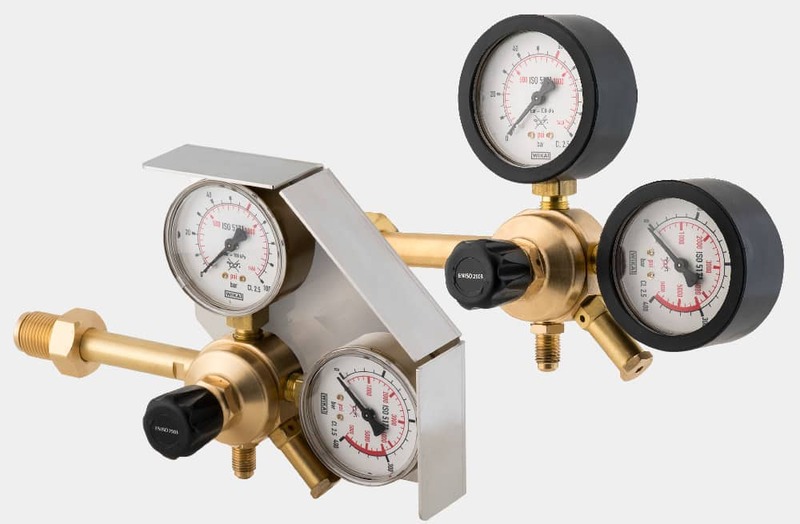 , two Ø 63mm pressure gauges 0-400 bar and outlet pressure 200 bar. 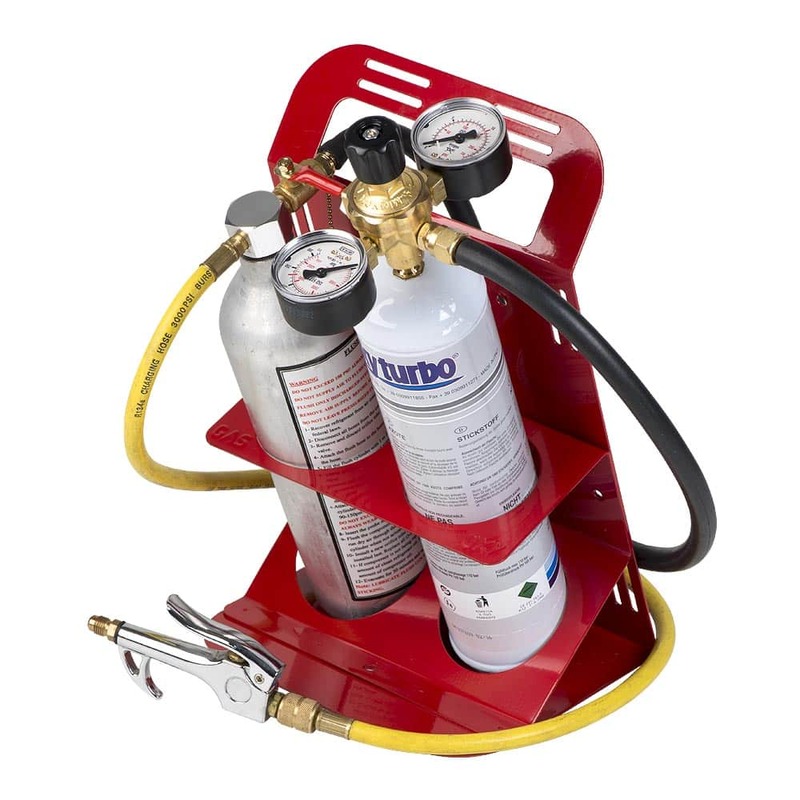 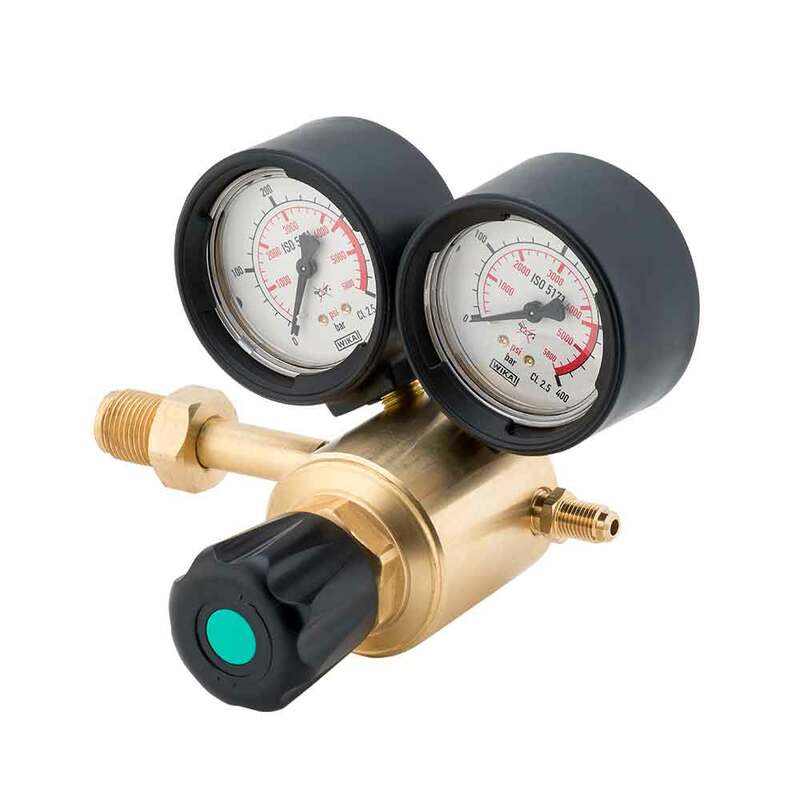 An R744 system reaches a pressure of up to 133 bar. 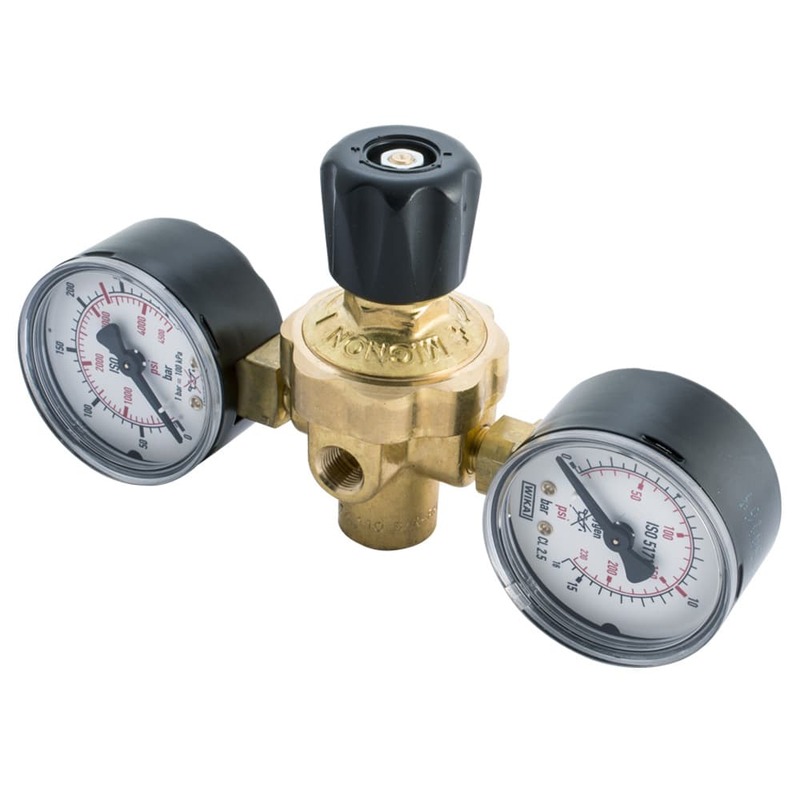 The high pressure in R744 systems corresponds to a high heat dissipation mainly carried out at pressure levels above the critical point. 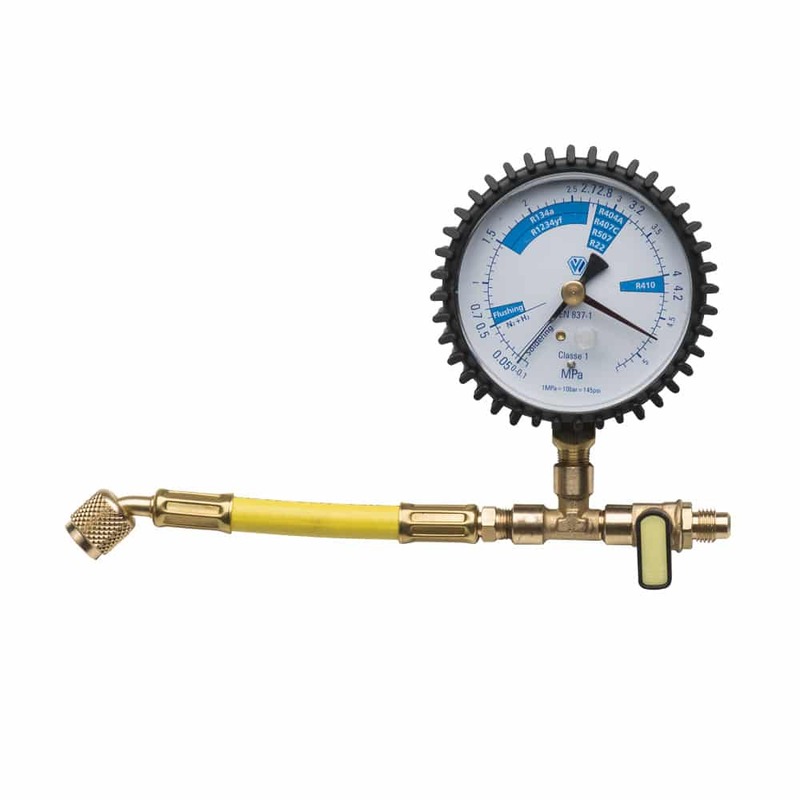 The Mega HP200 reducer is suitable for verification and maintenance of this system. 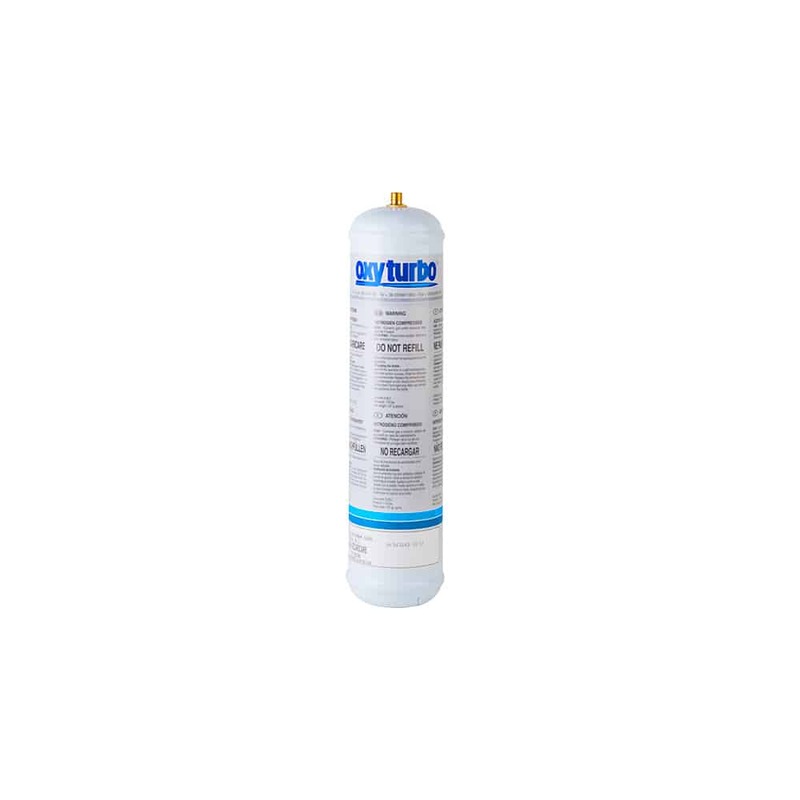 MAJOR HP is professional reducer is ideal for use with nitrogen air conditioning system testing. 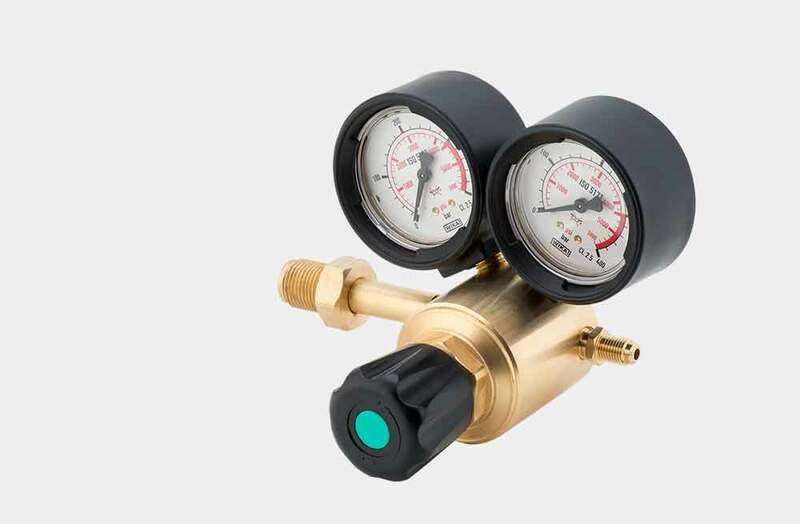 Practical, small and handy, the reducer is supplied with 2 63mm diameter pressure gauges and a 1/4 SAE outlet fitting to which the 5/16 SAE fitting, sold separately, can be attached. 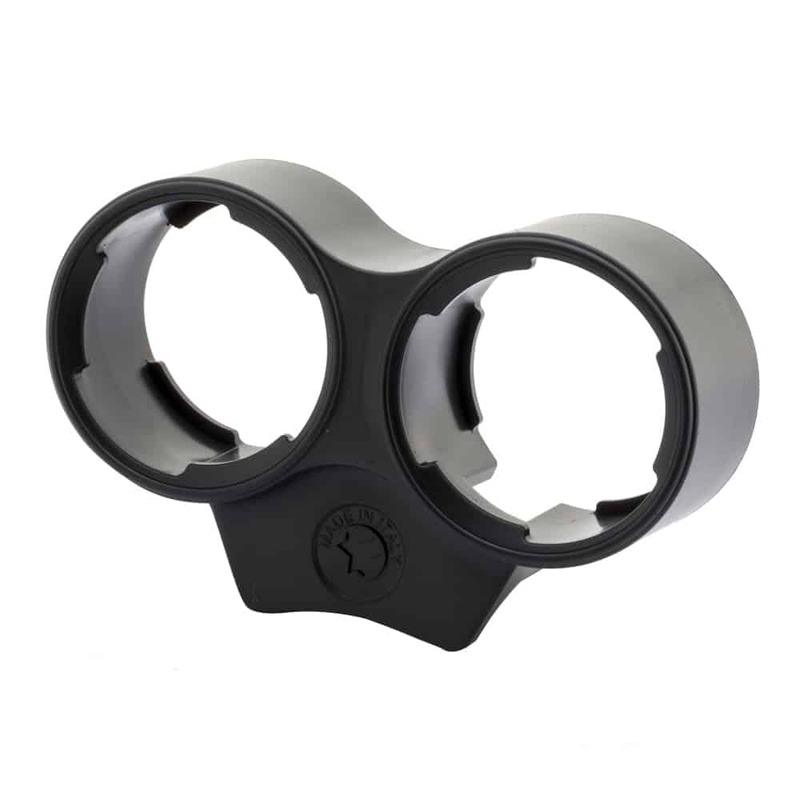 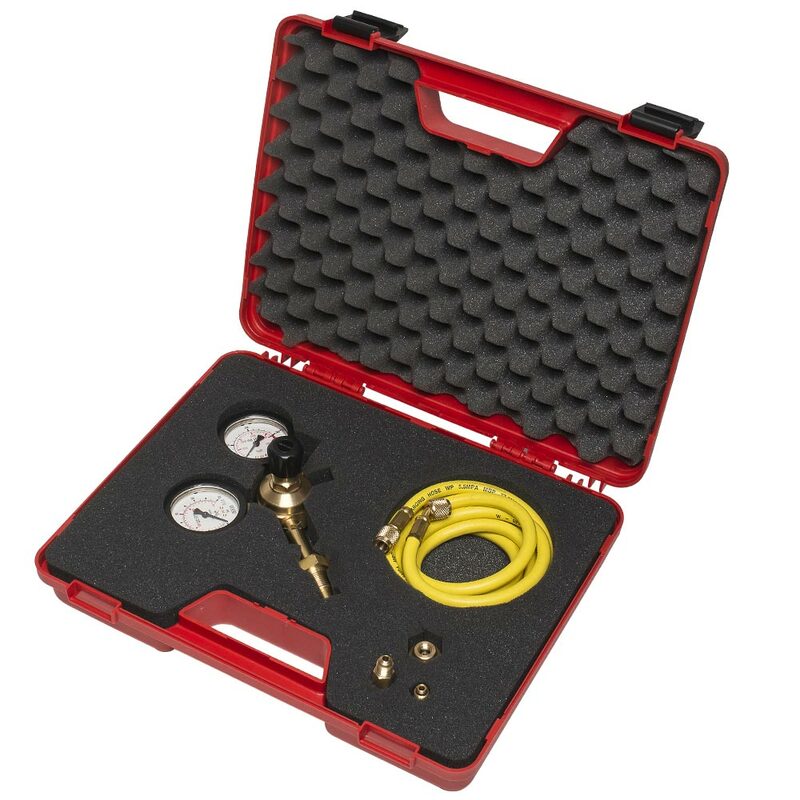 The Major HP can also be supplied with a fastening support and protection for a host of heavy duty uses. 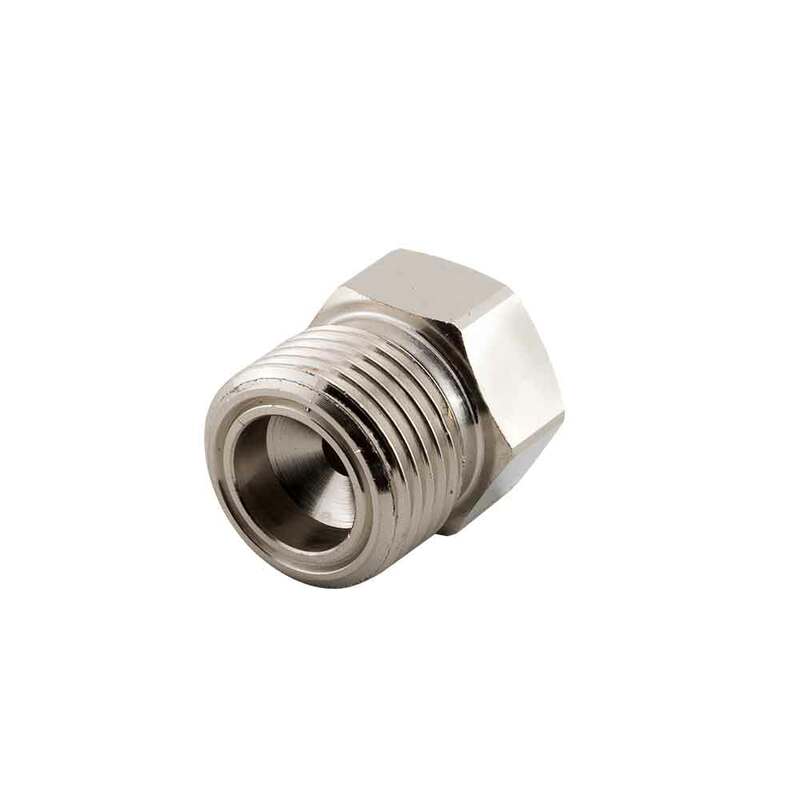 up to 300 bar and enables outlet supply up to 50 m3/h. 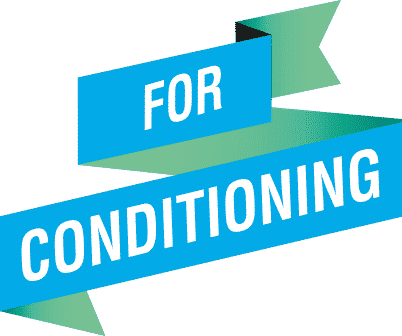 for checking and maintaining air conditioning systems. 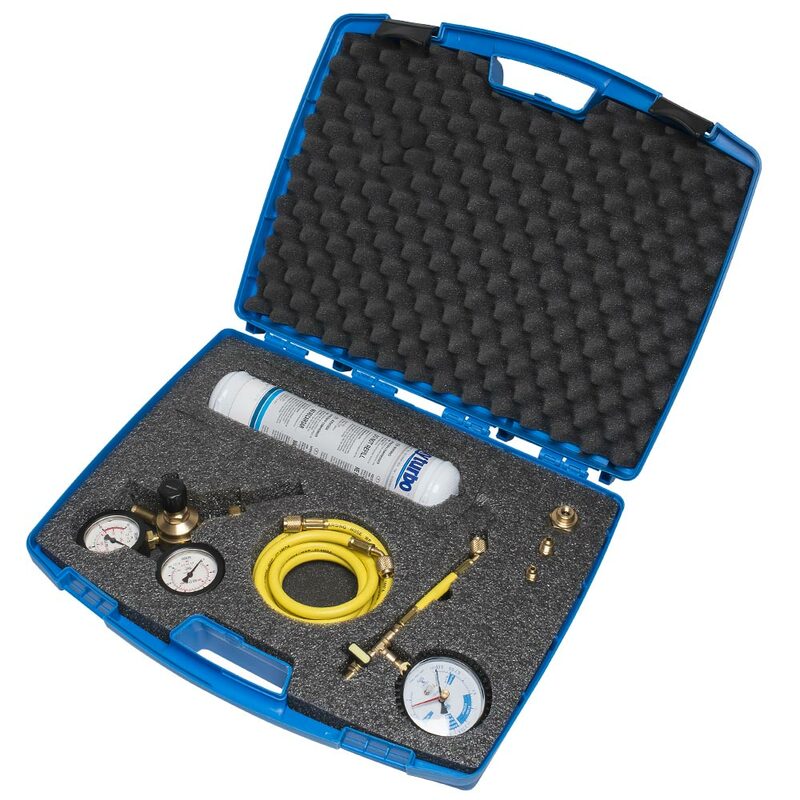 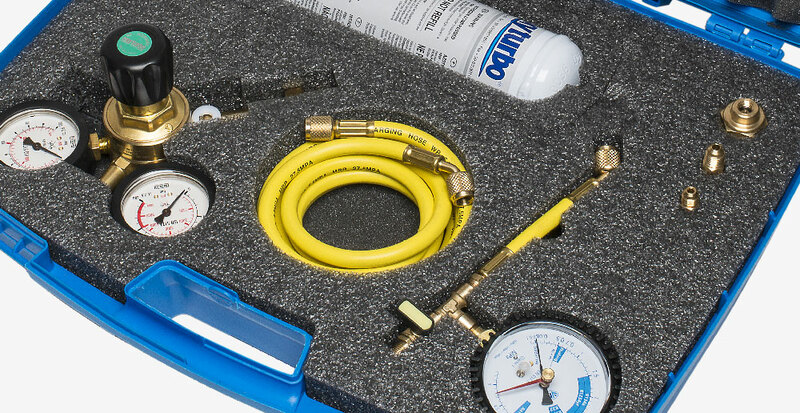 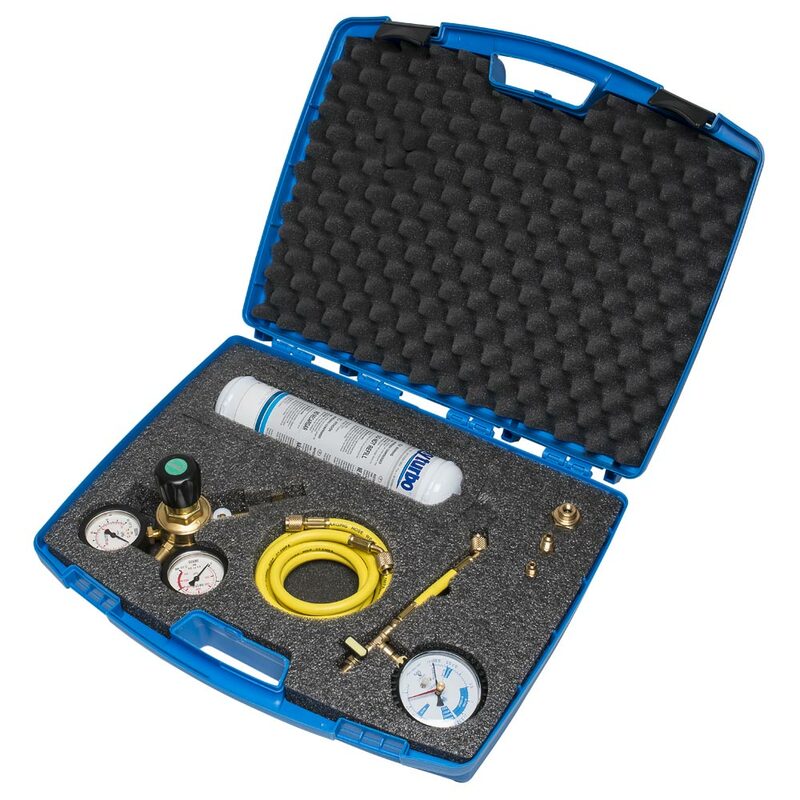 The professional equipment contained in the Klyma 1000 Kit allows for tightness testing of the system, together with its washing during any welding operations with slight nitrogen.